Whilst in Taupo recently our group decided on a round of golf so visited the Taupo i-SITE for some local information. I was pleasantly surprised to find four 18 hole golf courses all an easy drive from the Taupo township. 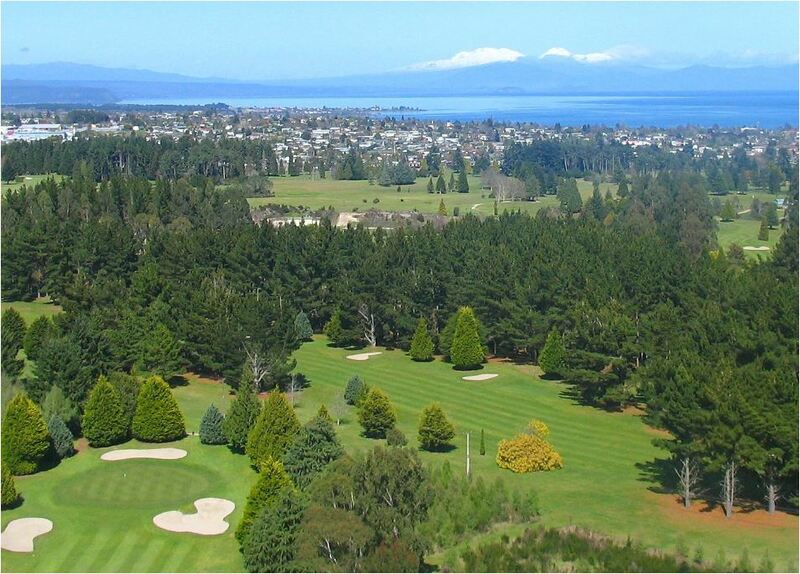 Taupo Golf Club is situated on Centennial Drive, a 5 minute drive north east of the town. There are two 18 hole golf courses on offer. We decided on the Tauhara Course which is a 68.1 par eighteen hole course with short smaller greens. Play continued amongst the thermal activity on the course and by the 18th I was happy with the 1 under par I had averaged. The course has good facilities with practise fairways, putting greens, a chipping green and 3 practise bunkers together with a pro shop. The club house was a great place to unwind at the end of the course and we stopped for a drink on the expansive outdoor deck before our meal in the restaurant. Inspired after the previous day we checked out the golfing information and decided on a 25 minute drive to the west of Taupo to the Kinloch Golf Course. Kinloch is currently the only Jack Nicklaus exclusive signature club to be completed in New Zealand and the only one in Australasia. Since opening in 2007 golfers have experienced the truly unique character, created by Nicklaus, on the par 72 eighteen hole golf course. The distinctive course is surrounded by Great Lake Taupo to the south and the Kinloch hills to the east, which creates a unique ambiance that is rarely experienced anywhere else in the world. 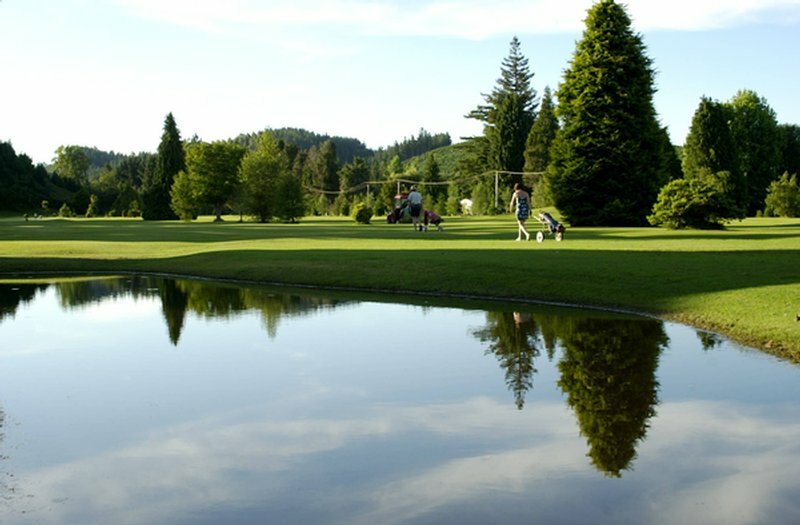 The internationally renowned, 18 hole course is an easy 10 km drive to the north of Taupo. The Wairakei International Golf Course and Sanctuary, was our next destination. We were impressed when driving in, to be greeted by the nine metre high Pouwhenua (Maori carving) at the entrance to the facility. The Wairakei Golf and Sanctuary offered our golfing party a unique opportunity to blend recreation, unknowingly with restoration and conservation. The course has a five kilometre“Xcluder” pest proof fence, which has been designed to keep out predators and enable nearly 25,000 native trees and 5,000 exotics to flourish at the sanctuary. This has encouraged bird life and further enhances the park like surroundings. To our delight 200 mixed colour pheasant have also been released onto the golf course property together with a small herd of around 15 fallow deer and a stag which are being reared within a deer fenced area. The whole of the golf course and sanctuary works in harmony and it was a pleasure to play a round at this par 72 facility. Alternatively, just a few kilometres to the north from here is the Bayview Wairakei Resort 9-hole golf course. Offering the golfer a par 34 compact course, with the longest hole measuring 366 metres, including easy-walking greens amongst lovely scenery and mature trees. 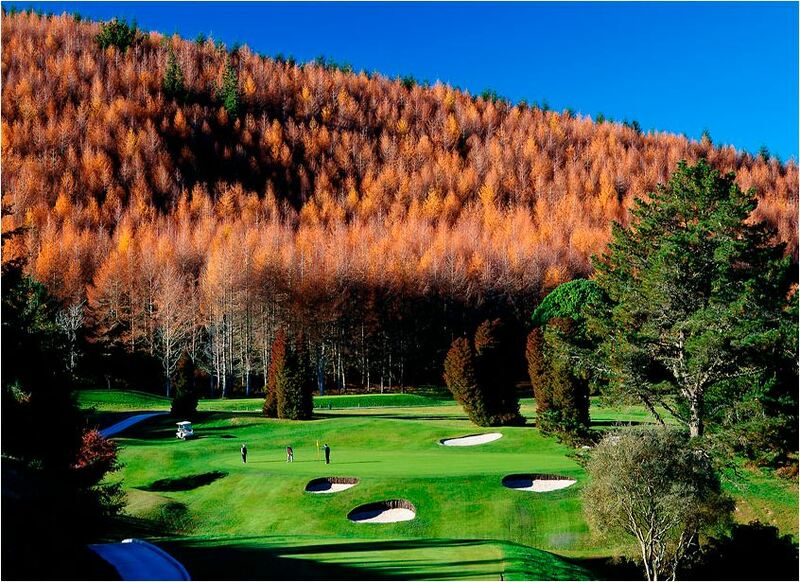 For more information about golfing in the Great Lake Taupo region visit Taupo golf.